I think I don't even think of it anymore as today I did totally forgot that it is my cancerversary. 28th April 1996 I was operated on and I think I should count it as my start of survival against the cancer. Hope with good wishes and support from friends like you I live on to blog more and also as a gift win the Pepsi contest.. What better way can be there to celebrate. I know I need to write more about my survival but today I will just give you some stats. The thoughts will flow sometime when they have to. At the time I was diagnosed, I already had too much on my plate. My sister was in the last stage of her fight with the same demon and I was fighting to find a solution for my daughters rare kind of challenge she faced. Doctors were saying she would not be able to see, talk or walk. Her brain had atrophied. I was 29 and my children were 11 months and 4 years respectively. I was worried about the emotional trauma my son was going through. Today I am happy to see that my kids are almost adults and I have simple things like exams, contests, weight, white hairs, etc to worry about. I could even forget that I had fought the battle so hard few years ago. My advice to people having rough period is don't quit. You went through a lot at such an young age!! Glad its all behind! Wishing you the very best of health and cheer! Blessings to you! You are a strong and beautiful woman! "My advice to people having rough period is don't quit." That was so true. Quitters dont win.....only fighters LIKE YOU do win. i am happy that now ur troubles with cancer is over! i thank GOD for that. Send little prayers that I will do good in my exams. By the way.....u look good in that picture of urs.....was it recent?? 14 years and still going strong - and best wishes for many many more. I so wish they would hurry up and find the cure. Too many are still dying too young. I cant say much mam!! What better example than u mam! Farida, I am soooo glad you are still here on this planet. Bless you & lets hope we both survive for many, many more years. Good wishes for your health and exams. Yes... you make us proud...and has set us an example... way to go!! You are awesome, Farila! Wishing you all the GOOD HEALTH! That was such an encouraging post! Filled with hope! Thank you! You're an awesome person Farida. Having gone through so much, you are here sharing it with us. I wish you the very best in your life. Wishing you good health for ever.. I admire ur courage and ur attitude towards life.. Very impressive..
You are such an inspiration to us all!!! You are a brave and loving woman & have taught me so much about life!! You are just great and inspiration to one and all. Let the flame in you enlighten many. I'm so happy you survived all that. It sounds like a horribly rough time. But it's nice to know that sometimes people can get through it. I'm not surprised that everything happened to you at once. I think that's the way the universe works. I wish you well on your exam. I think you'll do great! I am glad to have met you through the web. I am happy you survived. May you have good health and fun experiences in the years to come. Wish you all the happiness and good health. You are a strong woman. So very glad things are going well for you!! Congrats!! Farida mam, you are absolutely amazing!I can't think of a more convenient context to make this request of you. Would you please consider making a submission to a baby e magazine ? You will find all details here. I'm deeply moved by your blog. Great to hear that you have beaten the monster. All the very best with your exams. Prayers and best wishes for you Farila! I lost a grandmother to cancer, even before I was born, and so I never met her. I admire you Farida, for your strength and courage to battle and win. I wish you the best in your exams. I know you will do well. No Matter what I write, it may sound repetitive and clichéd, But I still write to you from the bottom of my heart, You are a woman that we need to take a leaf out of your chapters, I have a friend too, Who seems to have put up a tough fight. You truly are a woman of substance. Your writing is very inspiring and encouraging in terms of life and living. I wish you luck for your exams and contests. I must tell you, There might be many like me who have just begun to know you but would have already started loving you. Really a tough soul who not only survived the tough times but sailed through it. It is rightly said by someone that it is tough people who survive, tough times never do. i chanced upon ur blog...& it ws such an inspiration. 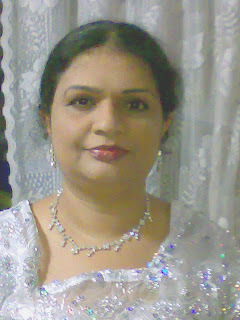 Ths feb i lost my aunt 2 cancer,she ws only 45 & a mother to 3 young daughters. I myself m gng thru a rough phase in my life...but reading your blog just made me realsie tht my problems r soo small against wat u hv dealt in ur life.